My sisters, Rachel and Elenora, and the two aprons that we had among my Mom's clothing. There are three girls and we only had the two aprons. What age did you start making aprons? 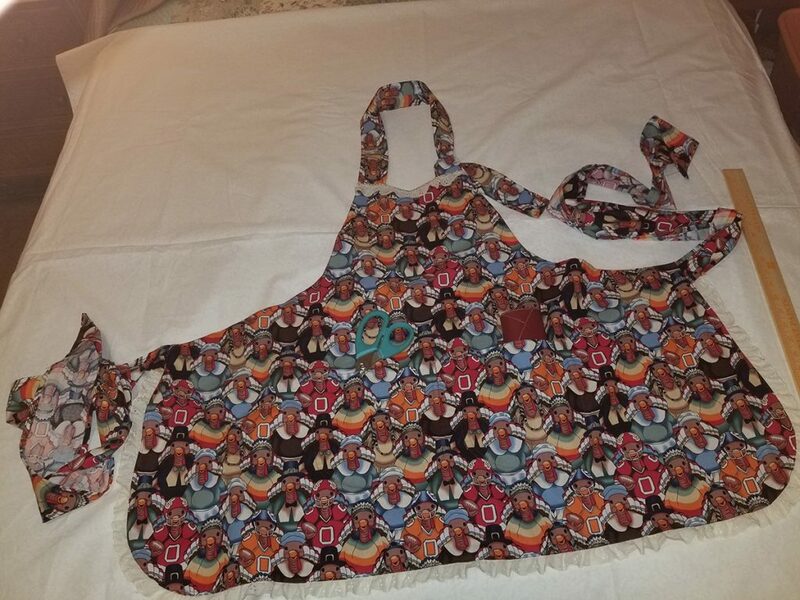 I started making the aprons in December 2002, I had turned 51 that November. I had lost my Mother and was taking some down time to figure out what to do. I found myself immediately too idle and engaged Rachel in developing/creating some endeavor to fill the void. 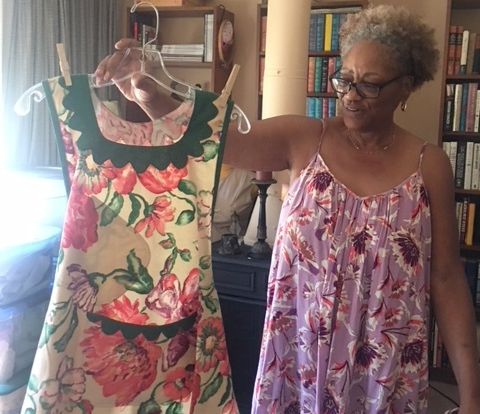 She suggested aprons (why aprons is another story in itself, see above). It was quite an instant momentary success and I decided to stay the course and see what would develop. What is your most memorable apron? There is no one apron. I make one of a kind and they all are special and I remember them because of the creative process. Dare I say "my creative process?" Life and making good decisions in my deeds and actions. Really, the goodness of the Lord inspires me. What do I want people to take away when they purchase the apron? 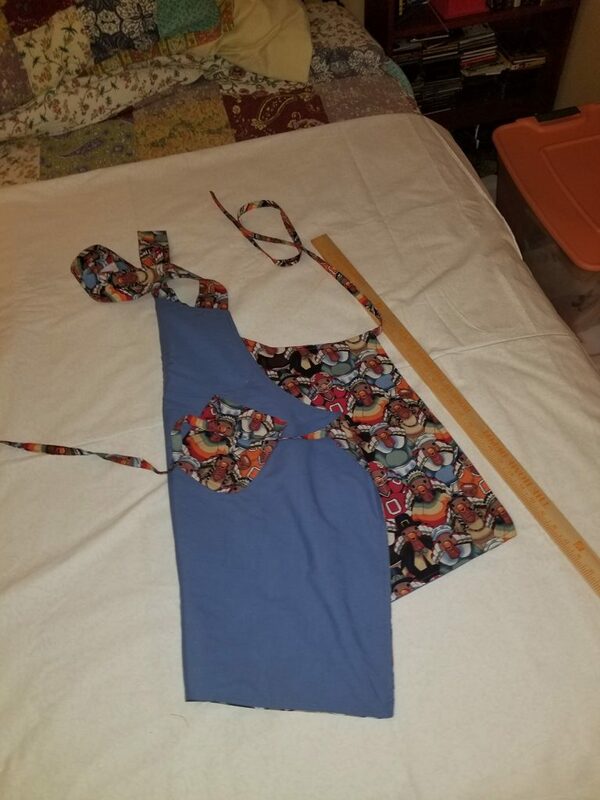 I want my customers to (1) feel that this is "my" apron, and (2) keep the thought that when they wear their apron that they are creating a memory for those closest to them. I strive to make aprons that will become heirlooms one day, be passed on and cherished. Whimsical thanksgiving themed print. Three aprons, all chef style (D-ring), generous cut, inside pocket, lined. $30 Ladies, small to medium, two front pocket eyelet lace trim with subtle sweetheart neckline, red lining.